How We Test Carbon Monoxide Detectors - Which? Our stringent tests reveal the carbon monoxide detectors that fail to go off when you need them most. Find out more about our tests below. Carbon monoxide detectors have one simple job, but our lab tests have uncovered widely available models that just aren't up to scratch. 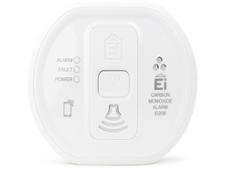 Our carbon monoxide detector reviews clearly show which models you can rely on in an emergency and those that are best avoided. How well does it detect carbon monoxide? Will it be loud enough for you to hear when it goes off? Are the instructions safe regarding where to install the carbon monoxide alarm? Will it continue to work reliably months after being installed? Can it recover after being exposed to very high levels of carbon monoxide and continue to work reliably? Only the models that top our tests in each of these areas join the ranks of our Best Buy carbon monoxide alarms. Does it effectively detect carbon monoxide? 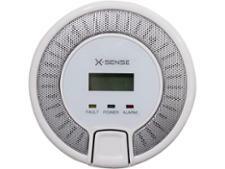 We expose each carbon monoxide detector we test to four levels of carbon monoxide to see how well it can detect the gas. Tests start at 30 parts per million (ppm) of carbon monoxide. At this low level, the alarms shouldn’t trigger. We then test them at 50ppm, where they should go off after between 60 and 90 minutes. Our third test is at 100ppm, when they should sound after between 10 and 40 minutes. Finally, we raise the level of carbon monoxide to 300ppm. At this concentration of carbon monoxide, the alarms should trigger within three minutes. Can it recover after being exposed to extremely high levels of carbon monoxide? We expose the alarms to a catastrophic amount of carbon monoxide – 5,000ppm – to see whether they work. Following the test, we then test them again at 50ppm to see if their sensors can continue to function. This shows us whether the alarms are durable enough to recover or whether their sensors become damaged during our testing. Is the carbon monoxide alarm loud enough? To find out whether you’ll be able to hear your carbon monoxide alarm, we measure how loud it is at a distance of 1 metre. To pass our tests, the alarms need to be 85dB or louder – that’s about as loud as a food mixer. Every carbon monoxide detector’s instructions and packaging are assessed to make sure the advice given regarding installation is safe. We pay special attention to where manufacturers advise you to install the detectors. The instructions for some carbon monoxide detectors advise against installing the device in a kitchen, where you’ll find the boiler in many UK homes. This advice is unsafe and is enough to make the product a Don’t Buy carbon monoxide detector. We test the carbon monoxide detectors on day one at the Which? test lab and then again 90 days later to check that they’re still able to detect carbon monoxide. Unlike most of the products we review at Which?, you won’t find a total test score next to each carbon monoxide detector’s review. With the success or failure of the products being critical, we’ve decided that the products will either pass or fail our tests. And we set the pass bar very high. 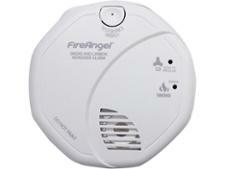 Best Buy carbon monoxide detectors have passed all of our assessments. This includes how well they detect carbon monoxide, how loud they are, how durable they are and how safe their instructions are. This involves passing all 24 of our carbon monoxide tests. Don’t Buy carbon monoxide detectors will have failed at least one of our gas tests or will come with potentially dangerous instructions.